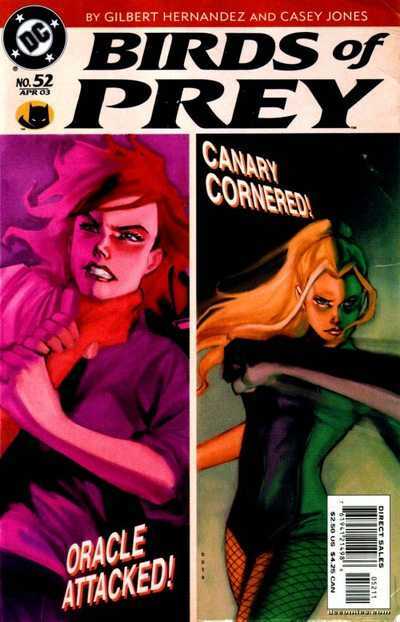 Ashford, Mark, and Laurel discuss issue 52 of Birds of Prey. Black Canary is trying to assist Java in saving Sapphire and son, while the Oracle is battling a front at home, and it is uncomfortable as all get out. The Birds of Prey have faced stronger threats, but with Black Canary having to be kind of on the side in her story, and Babes seemingly not being in control, this issue lends itself to being quite interesting.